If your suffer from environmental allergies, you are unfortunately one of the millions of Americans that have to endure a wide range of symptoms from pollens, pet dander, mold spores and much, much more. We don’t need to tell you how difficult it can be to lead a normal life with all the sneezing, wheezing, and fatigue that is triggered by allergies. Seasonal allergies are so tough to handle. Pollens and dust are everywhere, and come into your house through open doors and windows, and on your clothing and the bottoms of your shoes. While an air purifier will help, did you realize that many of these allergens settle deep in the carpet fibers in your home? Sad to say, they go relatively untouched by most vacuum cleaners and even the vast majority of carpet cleaning machines. Trapped there in your carpets are the favorite food of dust mites, which unfortunately make the problem even worse. The amount of excrement these creepy critters produce is far in excess of their body weight, and further affect the cleanliness and air quality in your home. This leaves you and all of your family members, even your pets, subject to sinus problems, skin irritations and much more. One simple and effective thing you can do to reduce your exposure to all of these allergens is this: keep your carpets clean! 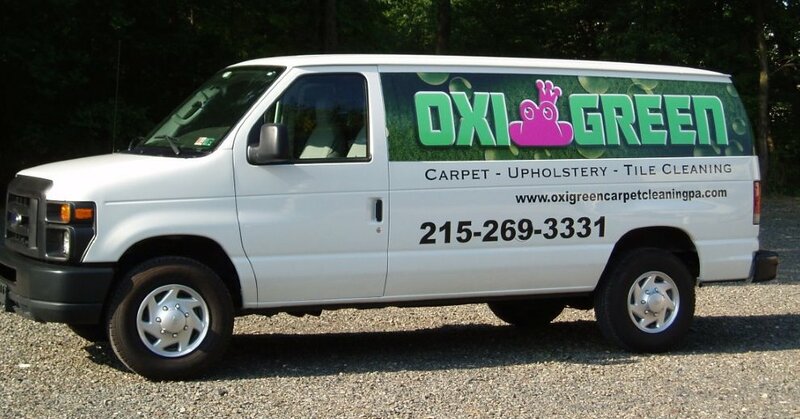 At OxiGreen Carpet Cleaning in Bensalem, PA, we combine our green carpet cleaning agents with our powerful, modern, truck-mounted equipment to dislodge the allergens and other debris stuck deep in your carpeting. This equipment’s superior extraction system removes the debris right along with 98% of the water for a fresh, clean and fast-drying carpet. Give us here at OxiGreen a jingle at 215-269-3331 and ask about our special cleaning package for allergy sufferers. We are help to help you minimize the allergens in your home and create an environment where you can relax and breathe easy.